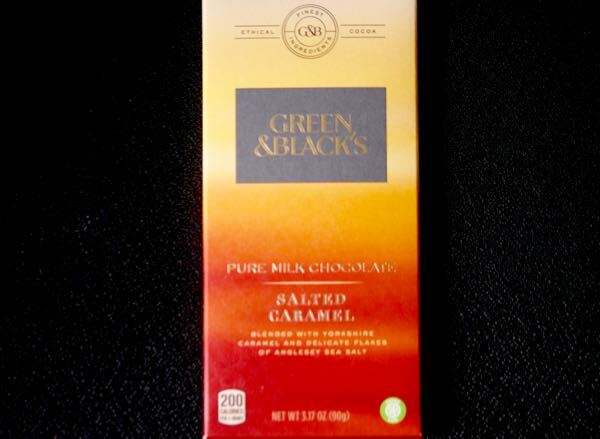 Today's Pure Milk Chocolate Salted Caramel bar from Green and Black's* (London, UK) was distributed by Mondelez International and made in Poland. 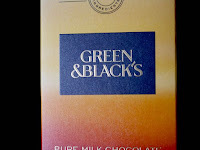 This milk chocolate bar was combined with "pieces of Yorkshire caramel and flakes of Anglesey sea salt." The result was a smooth milk chocolate base with embedded crunchy sweet bits, and a bar with a perfectly (addictive) balance between caramel and salt. For gluten-free folks, like some other U.K. confections, this bar did contain (organic) glucose syrup (similar to corn syrup you'd find in the U.S., but this was made from wheat). 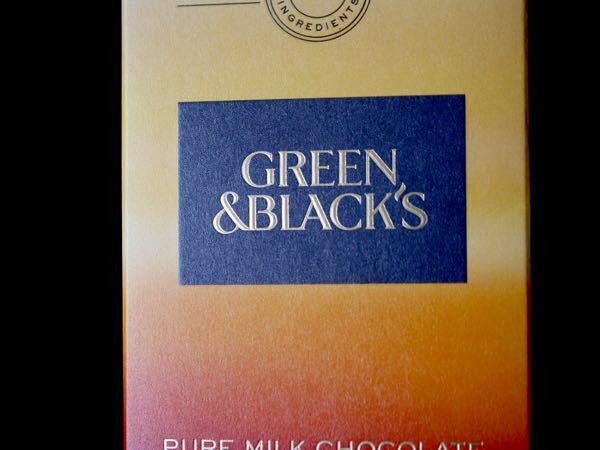 *Green and Black's is part of Mondelez International LLC (East Hanover, NJ)—formerly known as Kraft Foods.